I enjoy writing on my whiteboard. The picture on the left is what I had on the board this past week. 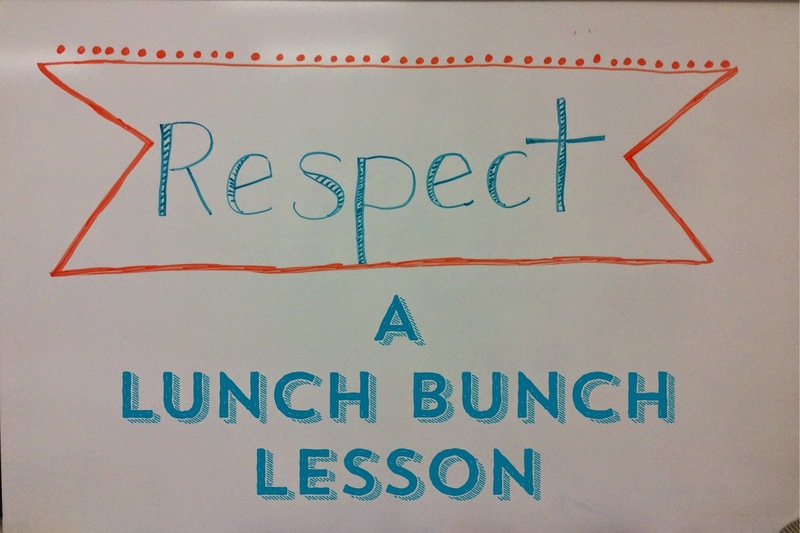 It's enjoyable to me to watch the kids try to figure out what we are going to be doing in lunch bunch by the word, phrase or drawing I leave for them on my board. Respect. One word defines probably one of the most important life lessons. We need to respect ourselves and respect others. It impacts our lives and the lives of others. It determines our happiness and our success, and it just happens to be our lesson for the week. What do people do to earn respect? What do people do to show respect? What are things people say that are respectful? What can you do to show respect? they way you would like them to treat you." We ended our lesson talking about ways we could Start the Ripple here in our own school. What are ways you can start the ripple where you live? Do you have a better link to the video? Thanks! Looking for a new video link. Thank you!